As you know girls that Industry of cosmetic always have the new revolution, after the alphabet cream trend then Cushion trend comes lately. Korean Brand introducing the new way how to apply bb cream with easily, Yap ! it comes with cushion and so many Korean Cosmetics brand launched their BB Cushion also the western brand like lancome now have the bb cushion. 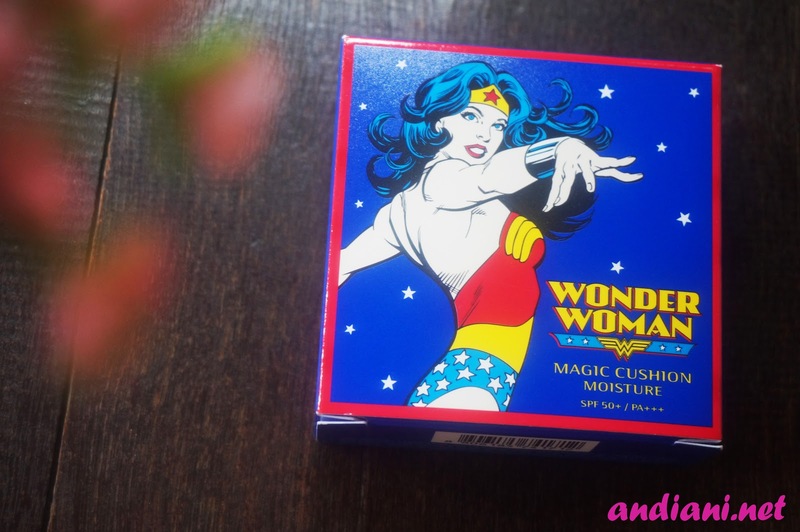 Wonder Woman Magic Cushion comes with 2 packaging, The Blue one for Dry,combination or normal skin and the red one for oily and all skin type. Honestly, I chose the wrong type because my skin is oily but it’s ok let’s try haha. 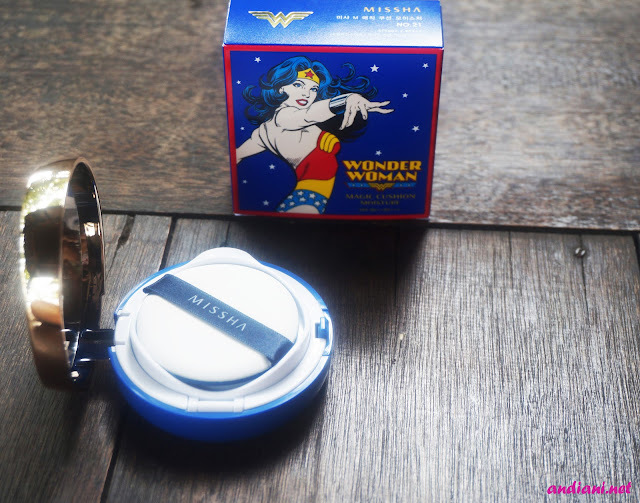 The Box of Missha Magic Cushion for the blue one comes with blue box with the picture of wonder woman and the design so attractive also eye catching !, at the back of the box there’s some information about the product but in Korean Language. So, I can’t read about the description at all. 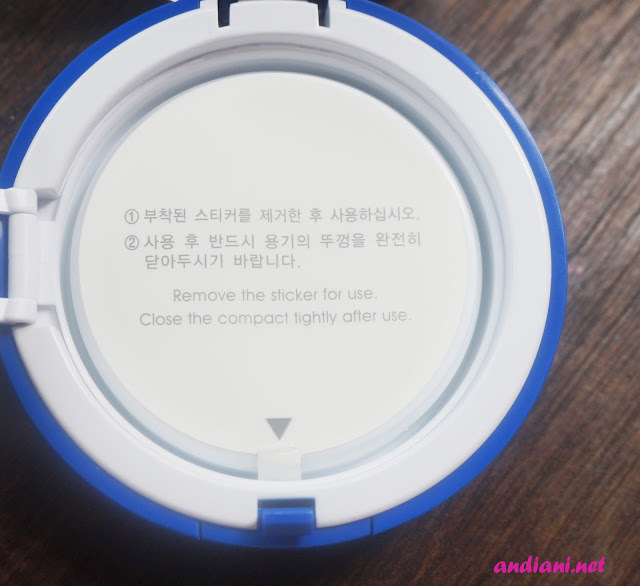 The packaging it self, like the compact powder packaging. It’s really travel friendly and the design same as on the box. There is a mirror enough for you to apply this product and the puff for tap-tap the product on your face. Also comes with the separator between the puff and the cushion, to protect the hygienic of the product there’s a sticker before you use the cushion. 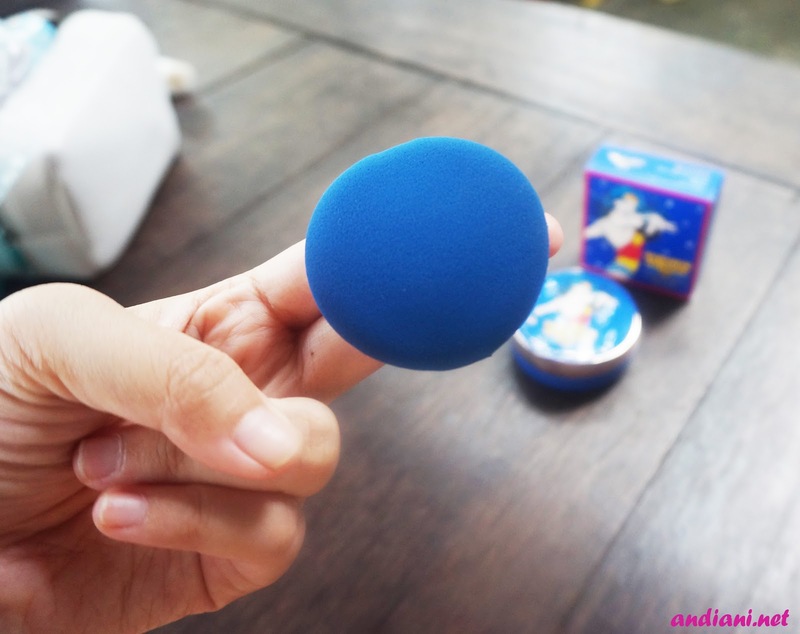 This blue puff is a special puff designed for Cushion, So this puff not suitable if you use to apply the powder or another product. This puff can absorb the formula from the cushion and makes you easy to apply the product with properly. I choose no.21 shade which is the light shade, the texture is liquid but lil bit creamy. The color so light right? But is it match to my skin tone? Because no.21 is the lightest shade. The scent is like soft flowery scent. 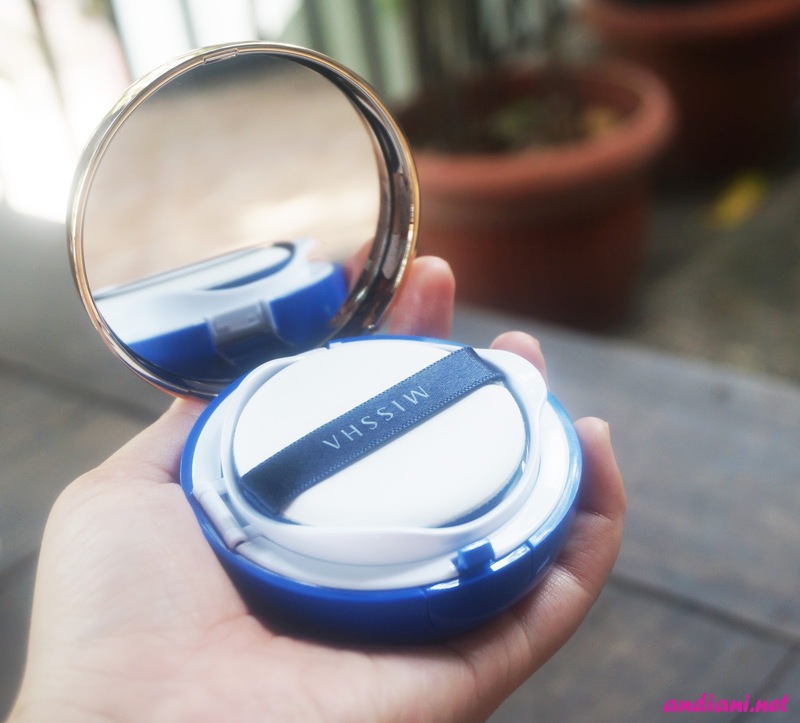 The BB cushion absorb with easily into the puff and when I applied it on my skin. 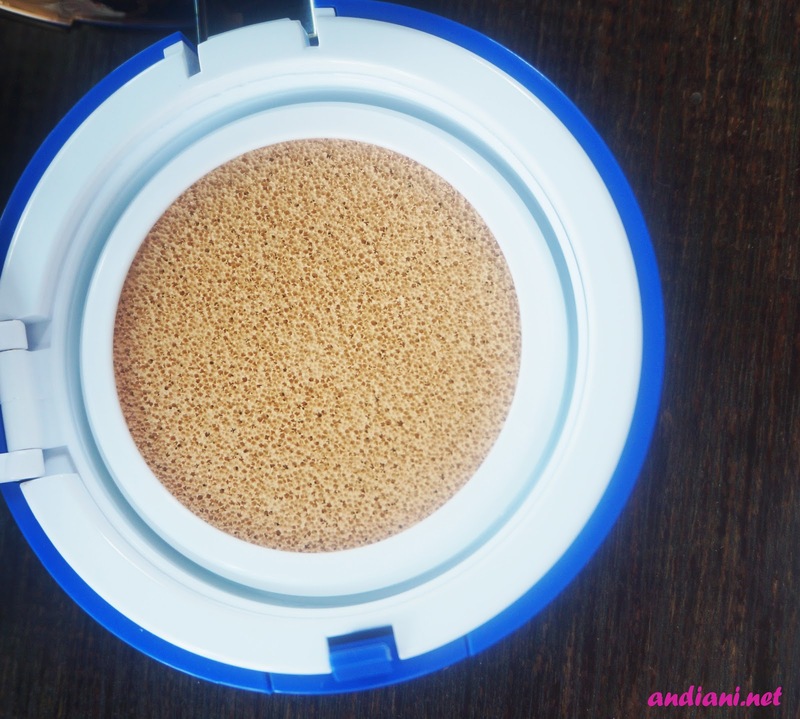 It really easy to blend and the texture on my skin so light not heavy feeling at all,because the product not for oily skin. So, the finishing is glowing. 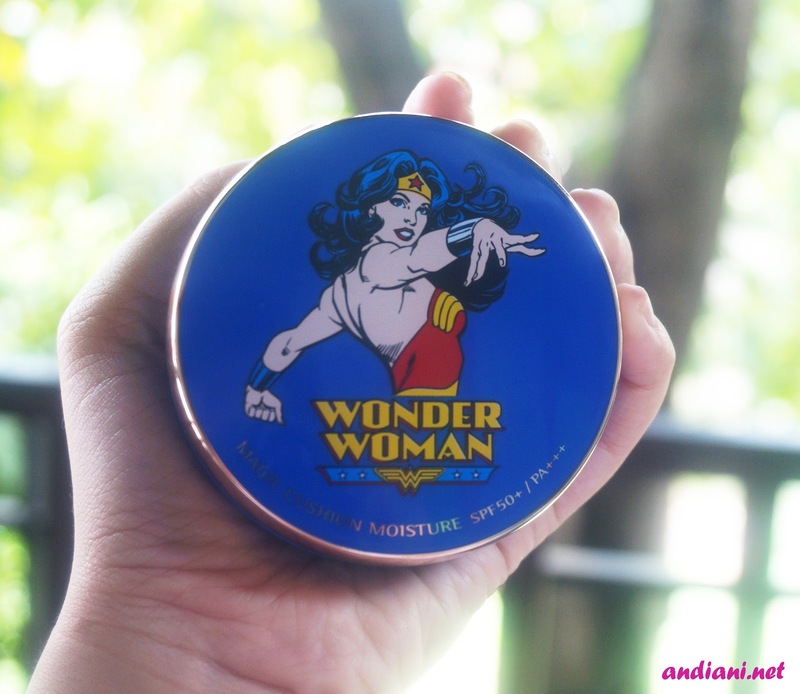 I need to set my face after apply this cushion with loose powder. Yasss ! 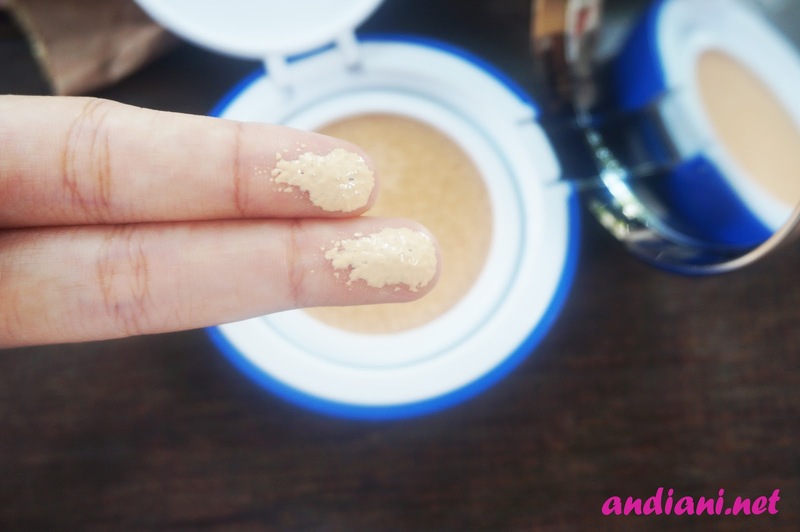 the shade is match with my skin tone not too light or too dark, it’s really suitable for my skin tone. 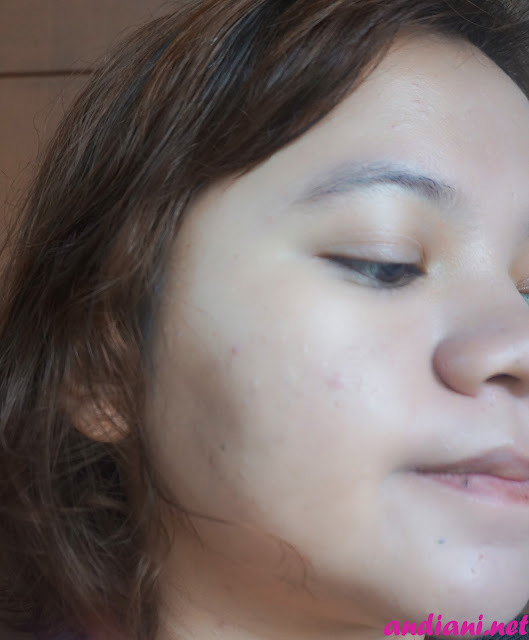 My skin looks really glowing if I were not add the loose powder, I always need loose powder for finishing matte. The consistency on my face great enough, about 4 hour it stays good and become oily but glowing look on my T-zone. 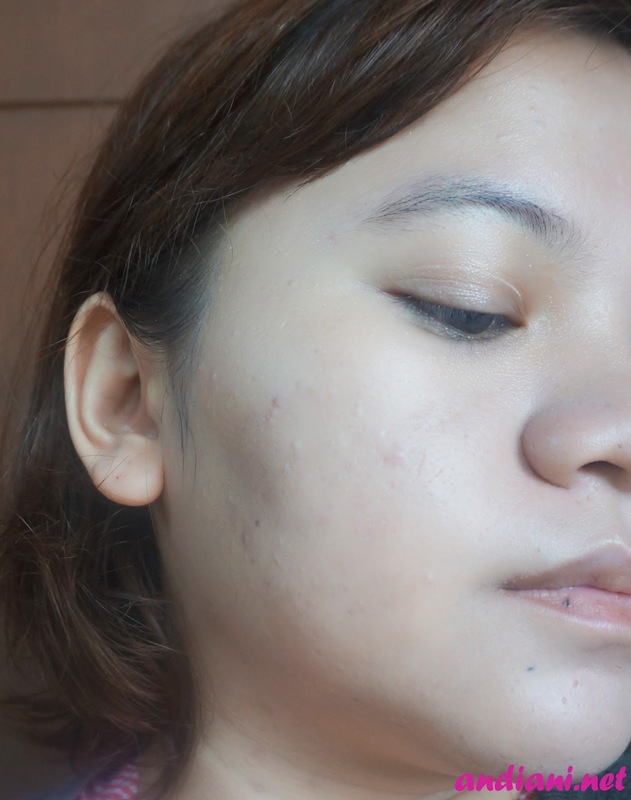 The coverage is sheer to medium, it suitable for daily base make up look, if you have some scars and redness you need concealer to cover it. 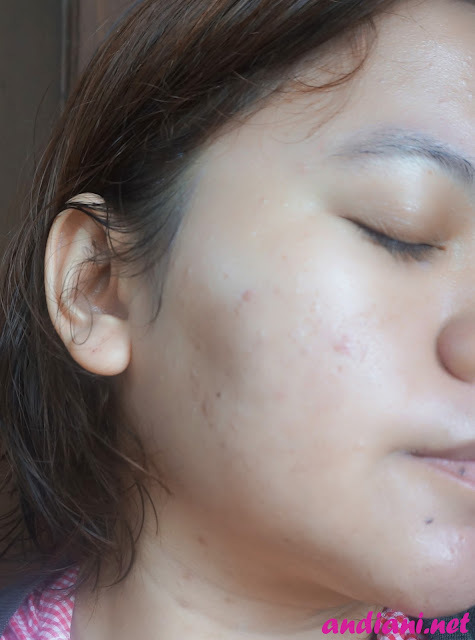 As you can see on the pictures above that missha magic cushion covering the scars and my acne just a lil bit and still visible right?. Overall, i like this magic cushion but maybe next repurchase the refill i have to choose for oily skin. Ya i knew, i was wrong to chose the series of this magic cushion. 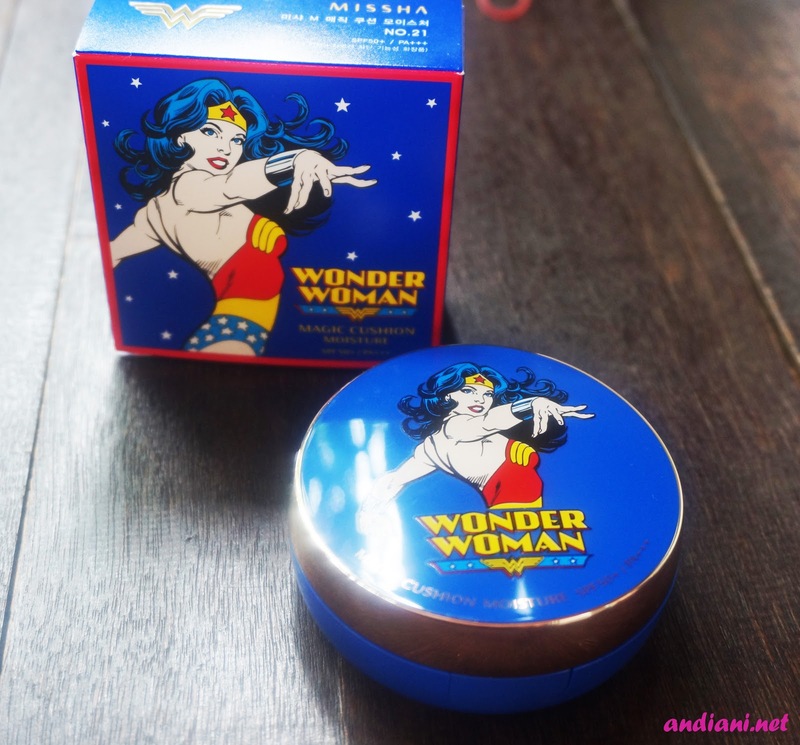 For you guys who have combination or dry skin this blue series is suitable for you because it moistures and makes you glowing, and for you who have oily skin like me better you choose the red wonder woman packaging because it has finishing matte. in Indonesia you have to buy via Online shop, because in Missha Counter in Indonesia not available yet.